I’m sitting and watching TV, but I’m distracted. Why? The damn dangly cords and cables stretched out like electronic roots, casting shadows along the wall. Gross. Can’t stand the cords? 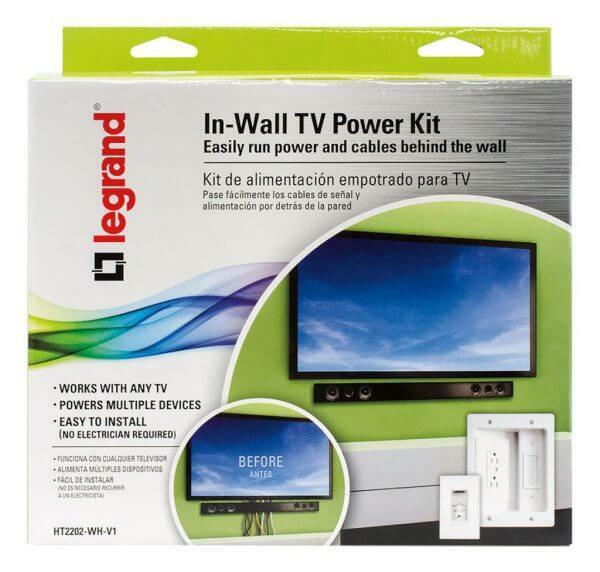 You need a Legrand in Wall TV Power Kit. I’m not kidding when I complain about how much the cords bother me. Perhaps I’m a little OCD, but everyone can agree that a dangling cord is not attractive. How annoying is it? We painted the wall behind the TV black in our kid’s playroom. Black because the cords are black. That way, they were not as visually obnoxious. Until recently, I assumed that TV installations without dangling cords involved having a reliable contractor and electrician on speed dial. 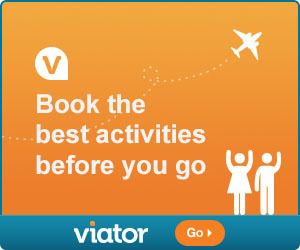 I didn’t know there was an easy solution to this common problem. The best part is that just about anyone can fix this issue, in an hour or less. 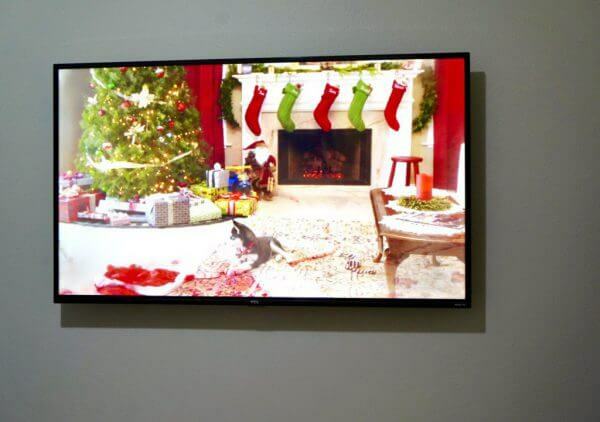 Now that I know, I want to wall mount every single television in the house. 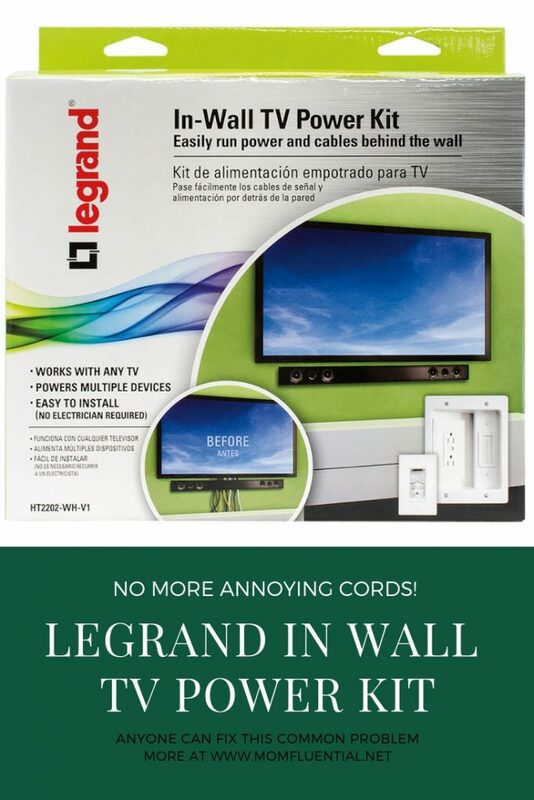 Legrand’s in wall TV Power Kit has made it stupid easy to get rid of dangling cords. 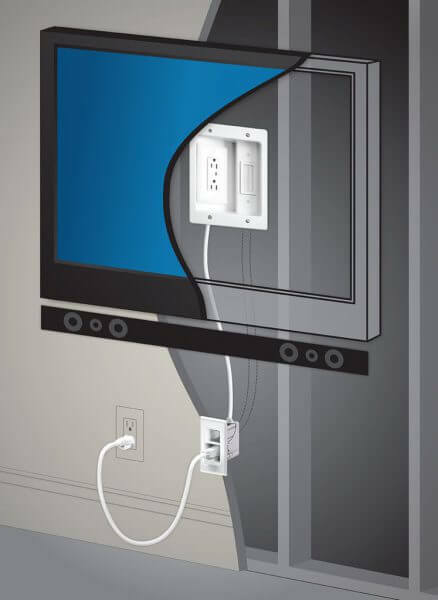 No electrical wiring required.Connect your television to cable and electricity in seamless style with this Legrand flat panel recessed connection kit. Where do the wires go? Inside the walls! In-wall storage takes control of cables and wires to eliminate tangles across your floor, and a white decorator plate provides a finished look. This Legrand flat panel recessed connection kit offers convenient access to the back of your TV. Looking at the plans and the directions I was all in. But I was still a little worried that it might be tricky to install. Fortunately, this solution in a box made this installation foolproof. 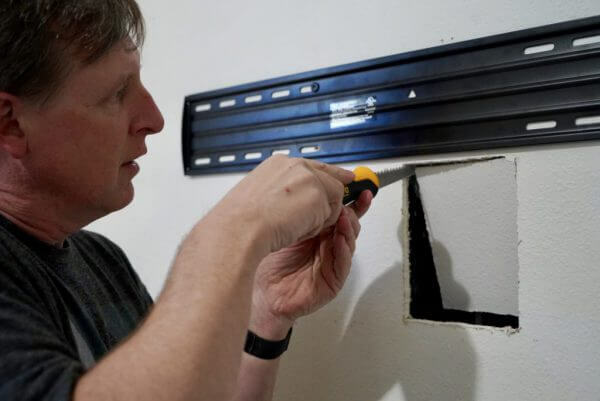 Cut two holes, install the decorator places, snake the wires from point A to B, behind the wall. 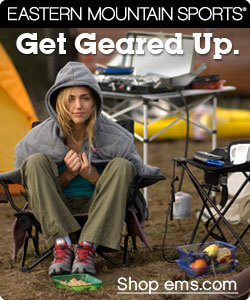 Plug it in. Done. The “scariest” part for me, was the idea of cutting the 2 holes in my drywall. I should not have worried so much. Cutting holes in drywall is super easy. It requires no particular skills save a leap of faith. Both holes are rectangular and there are templates provided. Using a drywall saw, we quickly cut them out. One hole goes behind the tv. The other one goes in near your power outlet. The holes are covered with decorator plates that perfectly matched the other plates in the room (light switches and sockets). 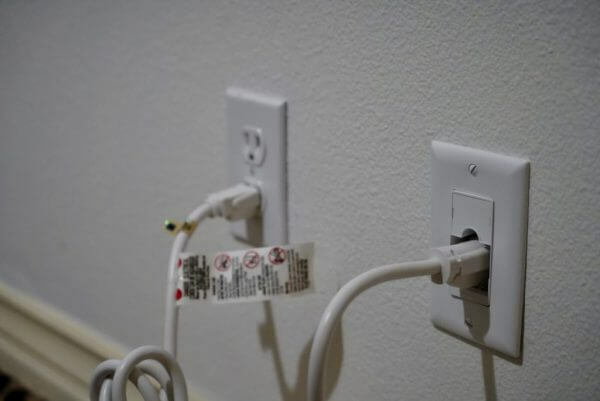 They provide a way to snake the cords behind the wall. They also bring the power outlet to the TV. 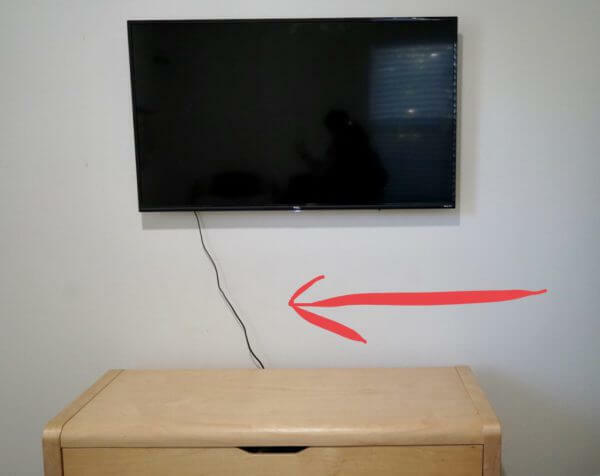 The TV gets plugged into the new socket that is hidden behind the television. What a difference! Who knew that something so simple could bring me so much relief. My husband and I were both really impressed by how easy this was to accomplish. We can’t wait to install this everywhere in our house that has a television. Sick of cords? 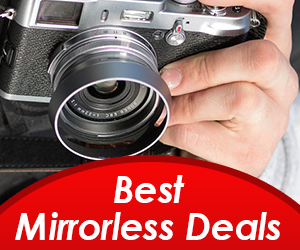 Got a new TV for the holidays? 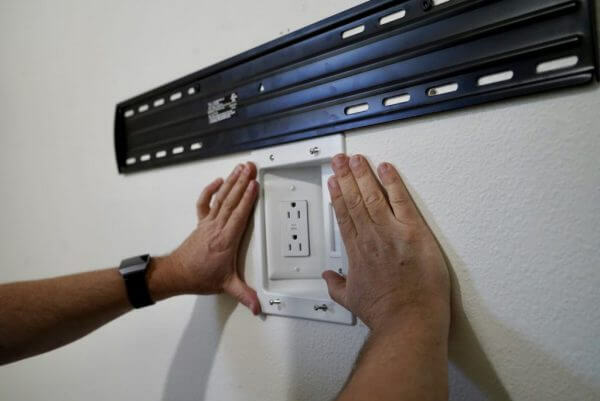 Pick up the Legrand in Wall Power Kit at Best Buy and install it along with your wall mount. 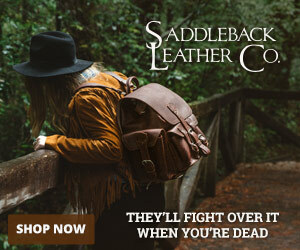 You’ll be so happy you did! 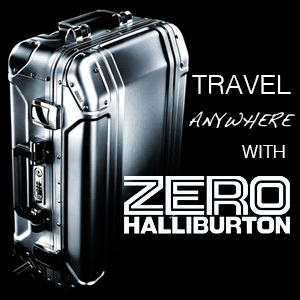 « Brace Yourself – YeahNOPE Isn’t Your Typical Girls’ Night Game + Enter to WIN!